set a timer for uninterrupted play. Architect Ben Pell for creating the blanket fort of your dreams. Nocturnals, a book that focuses on friendship and adventure, a shadow puppet how-to guide and flashlight for families to create their own adventures. In connection with the Reconnected, a Wyndham Grand Family Experience, Hotel Galvez is designating “Phone Free Spaces” at the pool area and in the restaurant from Oct. 1 through Nov. 12. The hotel is identifying these “Phone Free Spaces” through signage to encourage guests to disconnect and reconnect during quality time and to promote the Reconnected experience. Wyndham has partnered with Yondr to provide lockable phone cases to secure phones and reduce the temptation. Hotel Galvez & Spa is launching a complete refurbishment of its suites in early 2019. The hotel currently offers five one-bedroom and one two-bedroom suites on its seventh and eighth floors. After the renovation, suites will offer a new layout, furnishings and amenities. Fascinated by ghosts? Hotel Galvez & Spa invites guests to learn more about the paranormal during its monthly “Dinner with the Ghosts” tour and dinner event. During hotel’s one-hour ghost tour, the Hotel Galvez concierge guides guests through the hotel’s ghostly past using popular ghost hunting tools to conduct a paranormal investigation. Guests learn about the hotel’s “Ghost Bride” and other reported strange occurrences. The tour is scheduled the second Wednesday and Thursday of the month at 6 p.m. and is followed by a three-course dinner at Galvez Bar & Grill at 7 p.m. The cost for the tour and dinner package is $60 per person (inclusive of tax and server gratuity). In addition to the tour and dinner event, the hotel also offers a “Dinner with the Ghosts” overnight package. During the month of October, tours are offered Tuesday through Friday with Friday only available as part of an overnight package. This year Hotel Galvez is adding a Guided Overnight Ghost Investigation on Friday, Oct. 26 as part of an overnight package. Guests will join seasoned paranormal investigators during a guided investigation from 11 p.m. to 3 a.m. which is prime time for the “witching hour” when spirits are reportedly the most active. The package includes accommodations for two at the haunted Hotel Galvez, two spots for the investigation, a welcome cocktail choice of Ghost Bride or Expresso Martini (one per guest), and mid-tour pick me up beverage and snack. The Guided Overnight Ghost Investigation package is available to guests 21 and over. Hotel Galvez & Spa hosts its annual Galveston Holiday Lighting Celebration on the Friday after Thanksgiving at 6:00 p.m. The City of Galveston Holiday Lighting Celebration is an annual, free family event and marks the start of the official holiday season in Galveston and features performances from The Nutcracker, a hand bell choir and area carolers. The Galveston Holiday Lighting Celebration begins with the arrival of Santa Claus by horse-drawn carriage, followed by the lighting of the hotel’s 35-foot Christmas tree with a count-down led by Santa Claus and a city representative. Hotel Galvez & Spa shares its history through a permanent exhibit called the Hall of History. 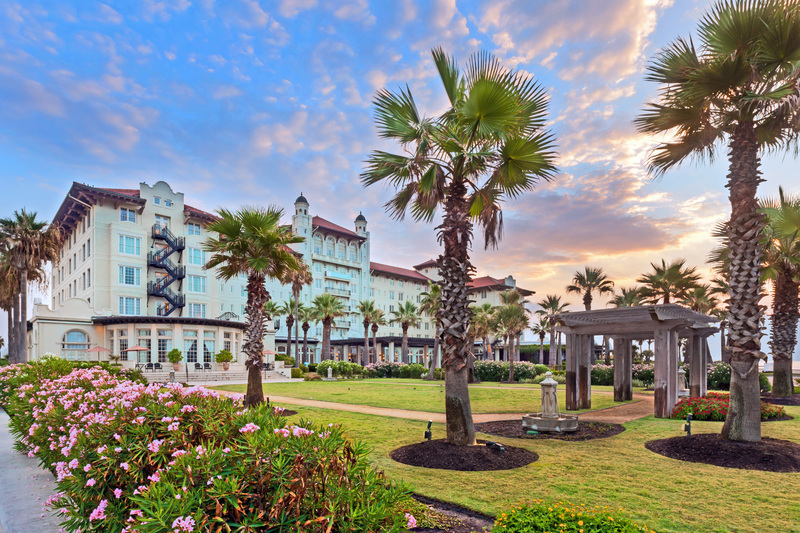 The Hall of History provides a brief history on the hotel and tourism in Galveston. Hotel Galvez also touts its history and ghost stories through a free multimedia tour app for iPhone and Android smartphones. The free app provides a 25-minute history tour and a 20-minute ghost tour with scrollable images, numeric keypad entry and a keyword search function. The tour was produced by Acoustiguide Inc. (Espro Acoustiguide Group). Additionally, the hotel is now offering weekly ghost and history tours. A 30-45 minute ghost tour is available Wednesday, Thursday, and Friday at 2 p.m. for $15/pp. This tour is only available to hotel guests. A 30-45 minute history tour is available Thursday, Friday and Saturday at 10 a.m., 11 a.m., 1 p.m. and 3 p.m. The history tour is complimentary to overnight guests and $10/pp to the public. Both tours require advance reservations and should be made the day prior with the front desk. 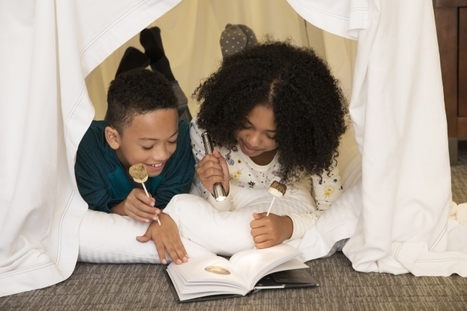 Reconnected, A Wyndham Grand Family Experience offers family time to "reconnect" with the tools for activities such as building the ultimate blanket fort, creating shadow-puppets or taking a literary adventure with The Nocturnals: Mysterious Abductions. The package also includes a timed lock box for mobile device(s) enabling families to set a timer for uninterrupted play. This new offering reminds families to slow down and enjoy time together.